Would you have stopped sooner? Back when I was out with my trainer three years ago, he taught me something that I still use to this day “when you take your 30 min break, take a few minutes to plan where you’re going to stay the night, and should something go wrong (it’s trucking after all) have a back up plan” he also taught me to start looking for parking with an hour to an hour and a half left on my clock. My company pays for parking, so if I know it’s going to be late when I stop, I call ahead and reserve my spot for the night, that gives me piece of mind knowing that I’ll have a safe and legal place to park for the evening. Why do some truckers try to avoid a 34-hour restart? Personally for me it all depends on the loads. If I have a tight load, and I have to max out my hours, I’ll do it and if I am lucky enough to have extra hours, I’ll try to sneak in a 34 hour reset. It all depends on the freight and the needs of the customers. My FM keeps me running so 99% of the time I am running on recaps. Other than hometime I think I’ve taken two 34 hour resets in the two months that I’ve been back running OTR. Do drivers often have to ride on buses? When I was with Roehl while going to school I rode the bus to orientation/School but once I passed they rented me a car to go home and get my license registered (ie hard copy) and take some home time. They also rented me a car to go down and meet my trainer in Gary Indiana (I’m from Northern Michigan). After doing local for a few years I decided to go back OTR and my current company Pride Transport flew me out to Salt Lake City from Northern MI for orientation. I guess it all depends on the company, where you live and how far you are from the terminal. I’ve been doing local beverage delivery for almost two years and even I won’t do a dollar account! I was offered one when I decided to go back OTR and while the money sounds good, it’s too much like I am doing now (only a week left there before I go back OTR!). Keep in mind I make around 50 a year and drive about 600 miles a week, but I earn every penny of that money and to me the money I currently make isn’t worth anymore. Those stores are very difficult for a day cab and 40 foot trailer to get into, I can’t imagine trying to get a sleeper with a 53 foot trailer into some of those stores. Good luck to anyone who does those accounts! Just confirmed my date for orientation with PRIDE, I will fly out to Salt Lake City on Christmas Day to begin orientation on December 26. Why not go back to Roehl? Might be the path of least resistance. They are only hiring Flatbed in my area and I have no desire to go back to flatbed. Well, it’s been a while! Almost two years since I’ve been on here, I’ve been lurking this entire time but haven’t said anything. I guess a brief introduction is in order before I go into detail. I started with Roehl back in 2016 doing flatbed but had to quit due to my now ex wife leaving me and not being able to handle life as a truckers wife. I was able to get a local job with a beverage distributor driving truck, but now that my divorce is final (she left me with a ton of debt) I’ve been thinking about going back over the road with the goal of staying out 4-5 weeks at a time. I’m looking at Forward Air and Pride but am open to any and all suggestions. Like I said I want to be out 4-5 weeks at a time and hopefully get home for 5-7 days straight once a month. My girlfriend wants to come out with me occasionally, so a rider policy is a must. So, I have been away from here for a while as I have been very busy and learning this new career. But I wanted to give you all an update on my experience with Roehl's flatbed division. After I completed their "Get your CDL program" I was picked up by a trainer and was put with him for 10 days. The training last a minimum of 10 day and will go until the trainer and your fleet manager feel you're ready to run solo. After I tested out, I was given my own truck (a 2013 international, 10 speed) and was dispatched home with a load. Things have been going alright and I have been home twice since I went out with my trainer (Roehl is really good at getting you home when they say they will, I even got 5 days off for 4th of July). Flatbedding is tough work and I have learned something new everyday. I am usually putting in the full 14 and having to do resets each week because it takes longer to secure and tarp loads. All and all I am having a blast out here! Thanks for the info, I've been considering going this Route to get my CDL One question, what happens if your a bit slower to catch on ? Will they work with you a little longer, or are you more likely to be " let go"
It depends, most catch on, and they give you goals for the end of each week. We had a few struggle and they worked with them. If you fail the skills test, they work with you and hold you over until you can retest. Do any/many others do this? I've seen ads for CRST, Celadon, and Roehl seeking CDL trainees lately. I'll double check the ads, as I don't like TDI presently fishing for students deceptively. BTW, I've checked with Prime, Knight, and CREngland for sponsored training already. Closed doors there, and not all due to location. I know that if Roehl is hiring in FL then they will train and pay you to get your CDL. Fill out an app with Roehl and then give them a call, you will talk to someone directly with Roehl and they will fill you in on the Get your cdl program. A month back I did contact Roehl, specifically since they are up near Illinois (up north). I asked if they were hiring out of FL, she said yes, and said they'd fly me down (every 3-4 weeks) for hometime. I discounted it initially, but realized they took care of drivers. I replied to her email, but she didn't respond. Hawk, do you work for Roehl? If so I'd like to ask you questions about them. I clicked on your name, but didn't see a link to PM you. I'd like to hear more, specifically about flatbeds, their specialty. I'd not been aware of it, yet I'm game. I do work for Roehl, just finished school and am waiting to go out with my trainer. It's been a few weeks so I might be missing a few things so here's what I remember: They take your blood pressure and heart rate sitting down. After that you go to a squatting station and do ten squats, they measure your heart rate (hr) then you squat and hold that position another hr is taken. (This stimulates squatting under the truck) You then climb up a station to simulate climbing up a trailer hr is taken. After that you life a crate and walk a certain distance (I was flatbed so I am not sure if all these test apply to van and refer) Your hr is taken. You then walk over to another station and life a crate with weights in from waist level (hr is taken) You then have to simulate pushing a van door (hrs is taken) then you simulate pulling a van door (hrs is taken) Then you go lift a steel tarp and do ten curls with it. (If I remember the hrs is not taken) Same with the walking of the balance beam. You take your permit test in your home state and skills test in the state that you go to school in. It takes about 3-5 business days for your home state to receive your skills test results. Hope that helps! I had meant to keep a diary of my training while I was going thru the Get your CDL program at Roehl but time got away from me these last four weeks! So, instead,I will give you all the highlight real of my experience along with a few feelings. This is a four week program and you are an employee from day one. You are paid $500 a week while you train to take your cdl skills. A hotel room is provided (shared with another student) and the hotel provides breakfast in the morning. Roehl provider lunch for you and a voucher for dinner at the hotel restaurant if you are in Marshfield (not sure about other locations). You are responsible for travel to and from the terminal each day and class runs m - f from 7 am to 5 pm and on Sat from 7 am to 11:30 am. You must come with your state's cdl permit and a d.o.t. physical that they pay for. This is very intense program and probably the hardest thing I have ever done, it's a long month but goes by quick. 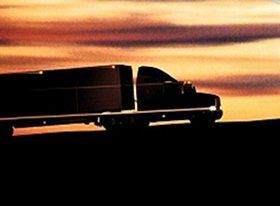 Study at night and learn the pre-trip, ask questions and be open to constructive criticism. Everyone there wants you to succeed and every company driver and instructor is happy to have you as part of the team! Safety is number one and is a cornerstone value! I know this was a long post but if you are considering Roehl then I can't think of a better company to join, I have felt valued from day one and I feel like I made the best choice for stating my new career! Starting with Roehl next week! Thanks, going to be starting out in the flatbed national fleet. I have been lurking around on this site for the last couple of months. Ater doing a ton of research and a lot of talking with friends and family, I have decided to leave my sales career and become a truck driver! I am enrolled in the "Get your CDL" program with Roehl Transport. Because of the High Road Training program, I was able to pass my written test on the first try! I now have my permit and am ready for the hands on learning! !